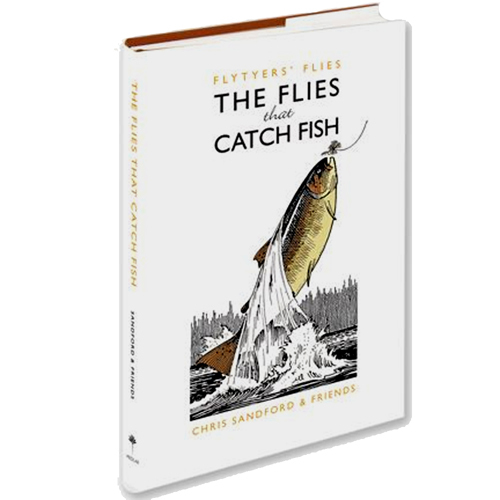 The flies that catch fish by Chris Sandford , Chris has fished since he was a boy and his collection of vintage tackle ranks amongst the finest in the UK. Perhaps more curious than most about the items we fish with, he became intrigued by the fact that many skilled and experienced fly fishers only ever use a handful, or less, of flies. We all, he concludes, have many more flies than we will ever need. This fascinating, meticulously photographed book is the product of Chris asking eight highly respected fly tyers to name, and tie, their three favourite flies. The resulting twenty-seven patterns are, without doubt, the flies that catch fish.